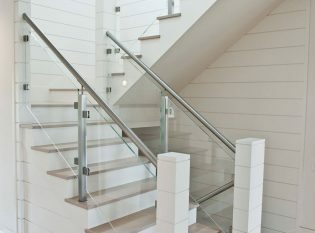 Material and Finish: Stainless steel pipe railing #6 brushed finish. 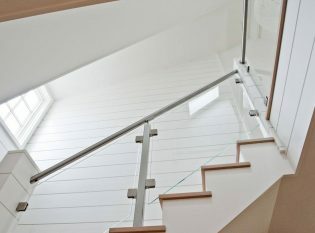 Description: Brushed stainless steel railing with glass infill. 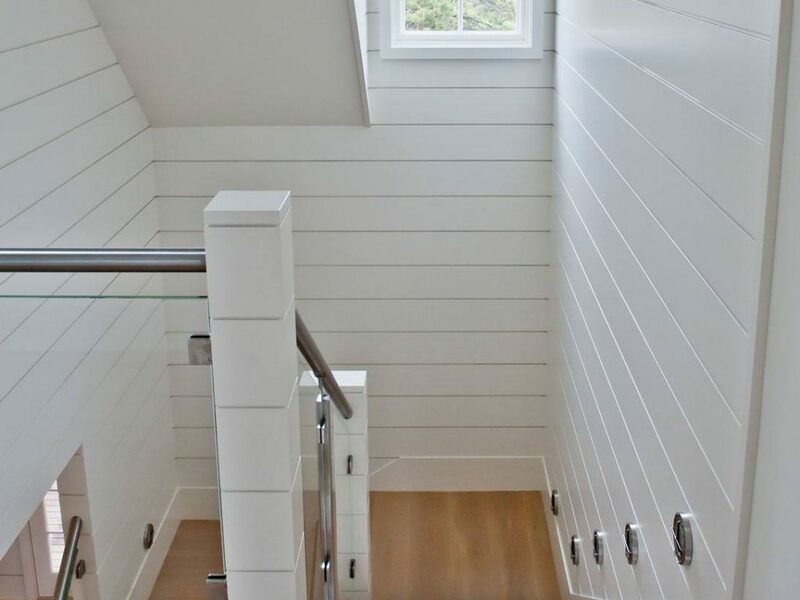 Nautical details abound in this classic Nantucket beach cottage. 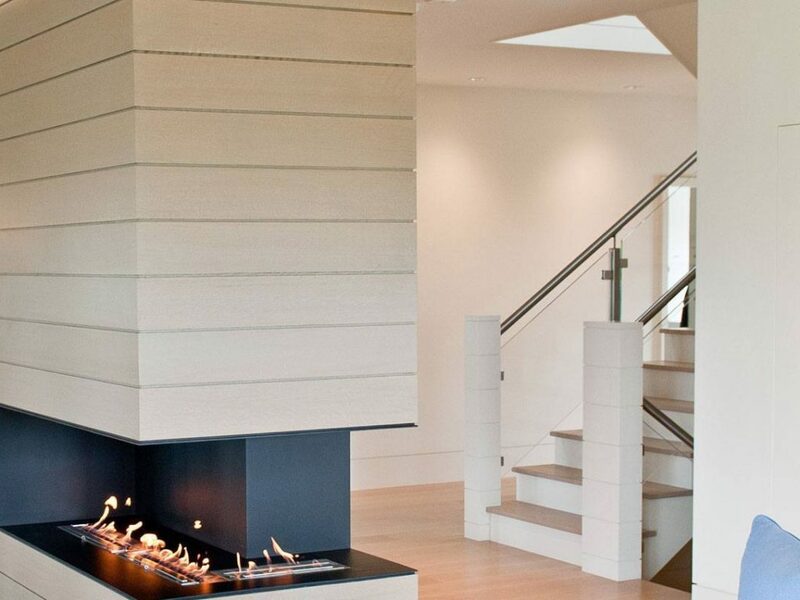 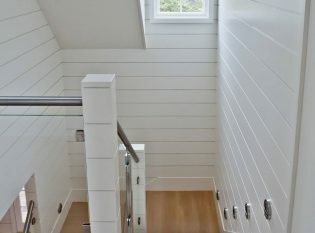 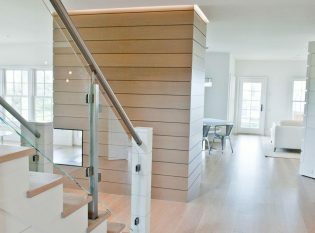 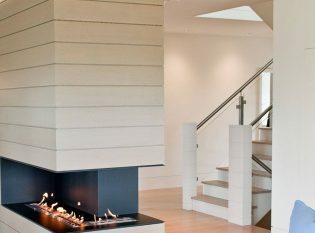 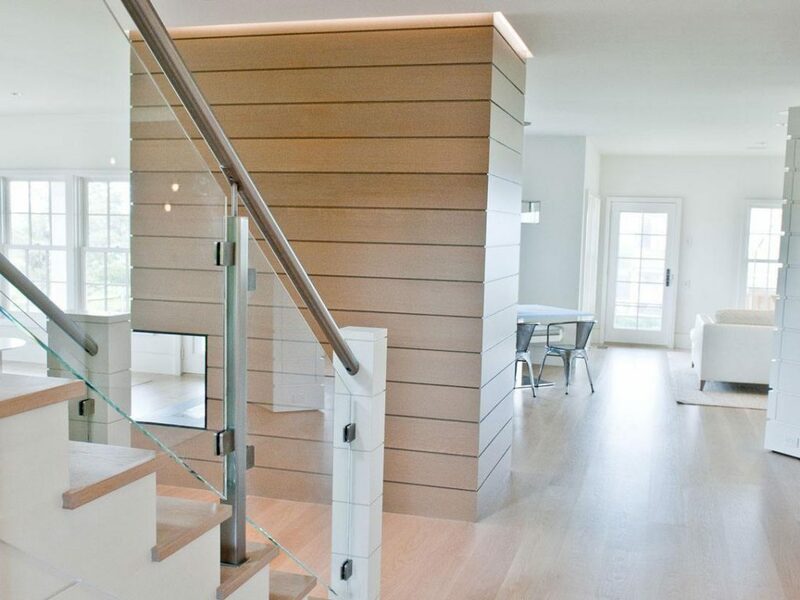 Light hardwood floors and white shiplap walls come together to create a light and airy feel. Our client selected glass and stainless steel to not overpower the space and to allow the light from the window above the stairwell to cast down to the living space below. The railing installation resulted in a breezy coastal-style summer home with a touch of modern sophistication.